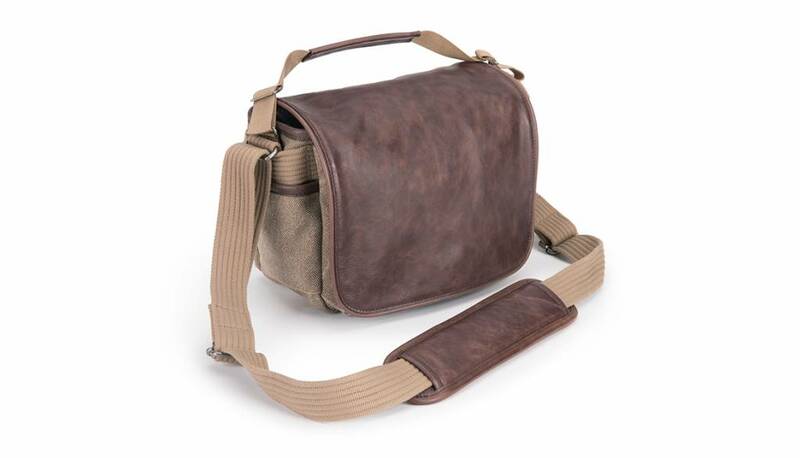 The sandstone with leather Retrospective 5 from Think Tank is a small, discreet and simple bag designed for the photographer who carries a small system. 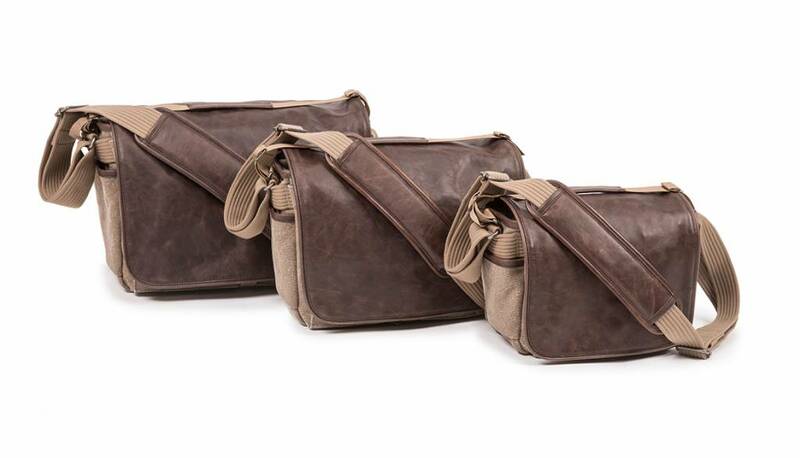 If you own a micro 4/3 system or a rangefinder, this is a bag worth considering. A zippered, inner pocket can accommodate an up to an 8" tablet. The interior dividers are customizable to accommodate the gear you carry on any given day. 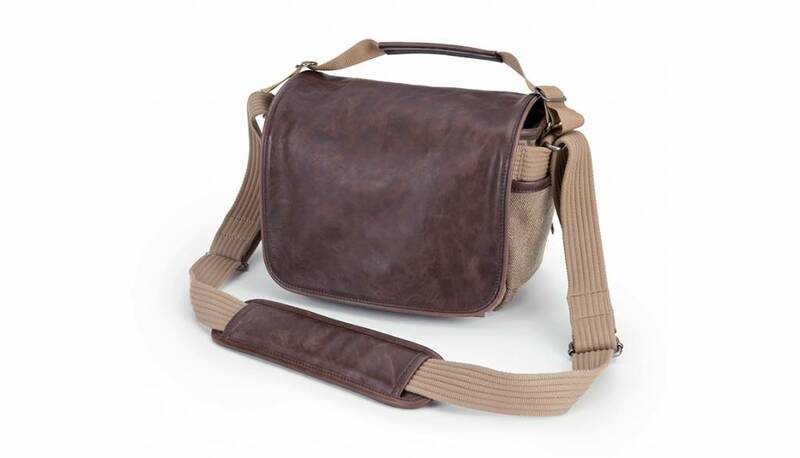 The large front flap covers the entire bag and prevents anyone from seeing what's inside.The hook-and-loop closure is unique with its Sound Silencer system that eliminates the tearing sound normally encountered when you open a camera bag. This is especially valuable when you are shooting in quiet venues like courts, wedding services or chess matches. The inside of the bag contains an organizer pocket that is perfect for a notepad, mic, or small pack of tissues. Two collapsible interior nylon pockets are designed to hold a flash or other similar sized accessory. Outside, an expandable pocket is large enough for a regular sized camera. The back of the bag has a wide storage pocket that is made to hold collateral material like paperwork, maps or notepads. Additional webbing loops are found outside to hold some small Modular, Skin or Multimedia pouches. Or, you can attach a carabiner to it for quick access items like keys. Two side pockets will hold small water bottles or even some small shoe-mount strobe lights. Under the main flap there is a business card holder.